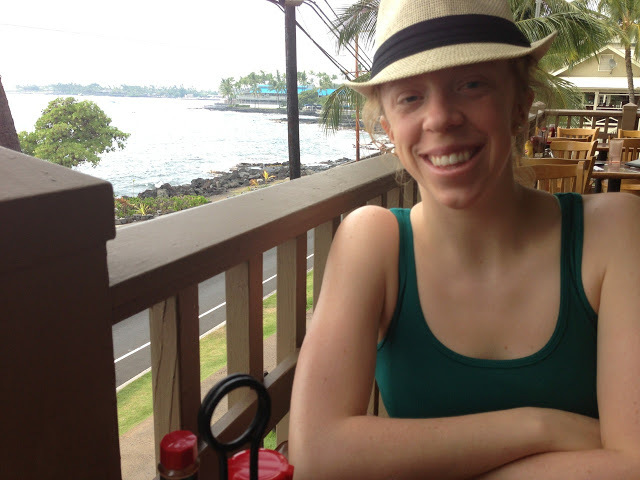 3000 miles north & back: Grilling! One thing I really miss about living in the Midwest is grilling. My mom would use the grill almost every night from the beginning of May through the end of October. Fish, beef, vegetables, chicken...everything was cooked on the grill. Not only is the flavor of the food unique, but how about that smell? YUM! Matt and I decided to 'grill' last weekend. Because we are not allowed to use a grill on our deck, we make shifted our oven into a grill. The oven provided the heat and the broiler pan acted as the grill. What was on the menu? The black bean burgers were put on the grill first. In the meantime I prepared asparagus and cut up the veggies. 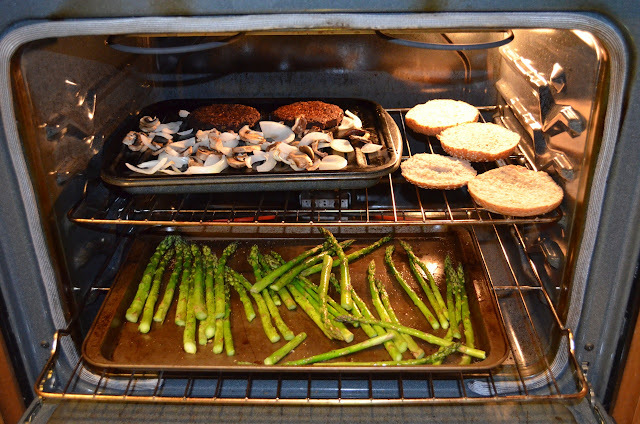 When the black bean burgers were half way through their cooking time, I added the veggies to the grill and put the asparagus on the bottom rack of the oven. The end result was delightful. 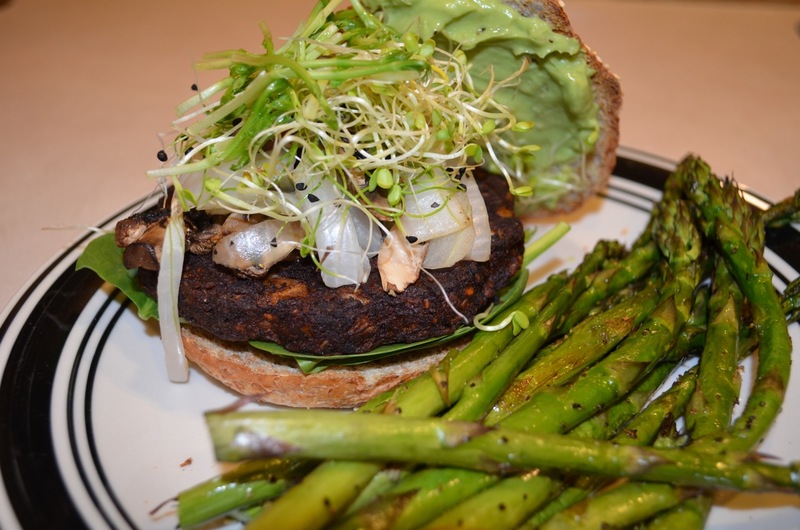 The black bean burger was cooked to perfection and all of the toppings and dressings added just the right amount of flavor and texture to the burger. The creaminess of the avocado mayo and the flavor of the veggies complimented the crispiness of the sprouts, spinach and pickles. With the side of asparagus, our meal was complete.